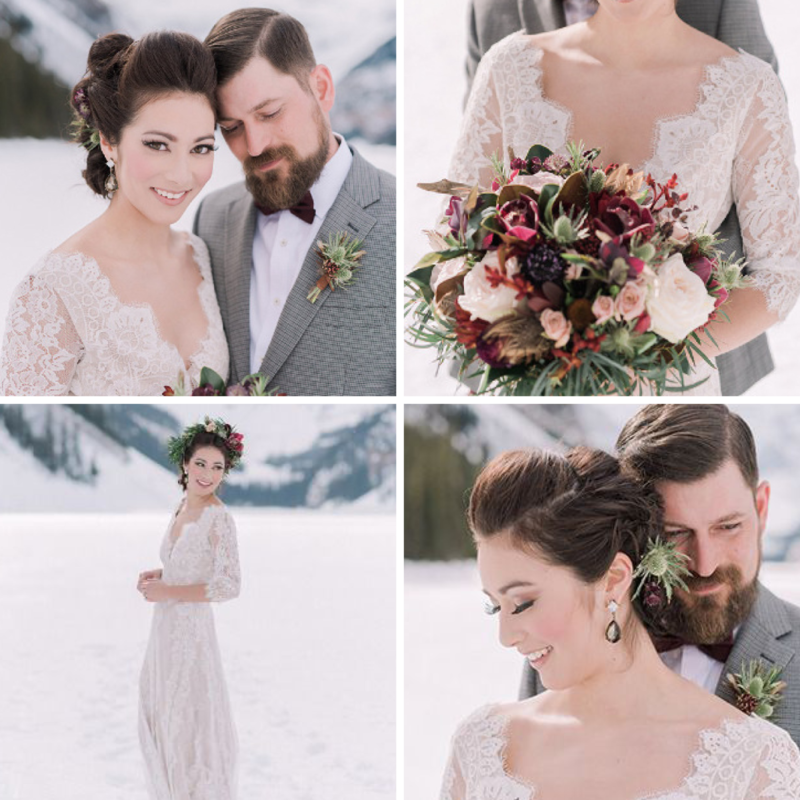 Winter, while slightly less popular than the sunny summer season, is still a gorgeous time to tie the knot. For you beautiful Christmas and New Year brides, your wedding is a perfect opportunity to revel in the festive season. 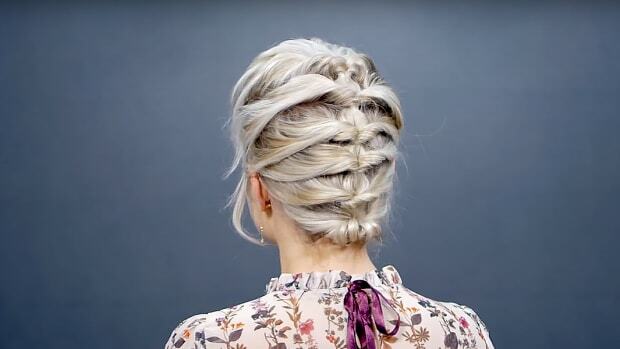 Need a little makeup and beauty inspiration for your big day? This winter, flushed cheeks, rosy lips, bright nails, and rich florals are the icing on the cake. Ah, yes, the blushing bride. Flushed cheeks come naturally with the cold weather, but why lose that lovely color when indoors? 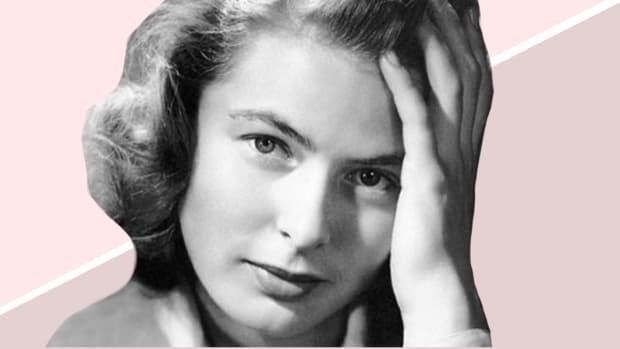 Imitate the natural rouge in your cheeks by finding a rosy blush that suits your skin tone. 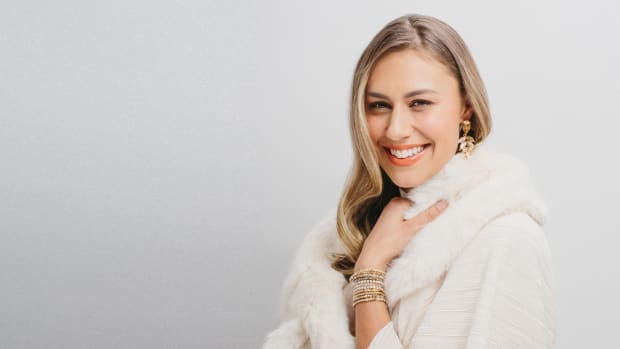 The lively color pop will create a dreamy, youthful, and fresh appearance in your wedding photos and will enhance your natural glow. When it comes to winter beauty, it doesn’t get much better than a bold red lip. 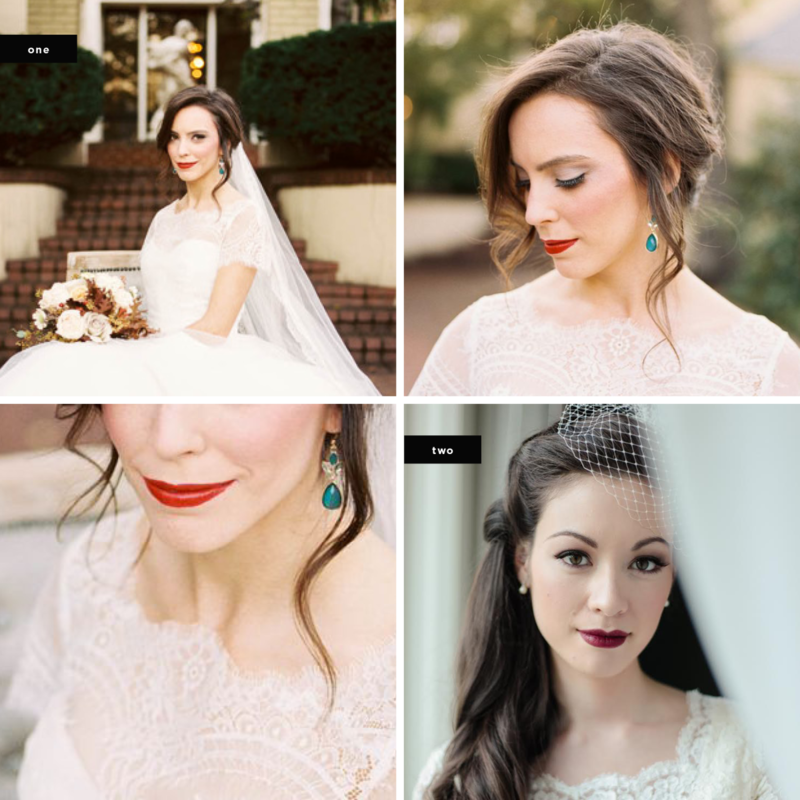 And if there is ever a time to confidently rock red lipstick like an old Hollywood star, why not on your wedding day? Bright red is festive and glamorous, creating a striking contrast against your white dress. 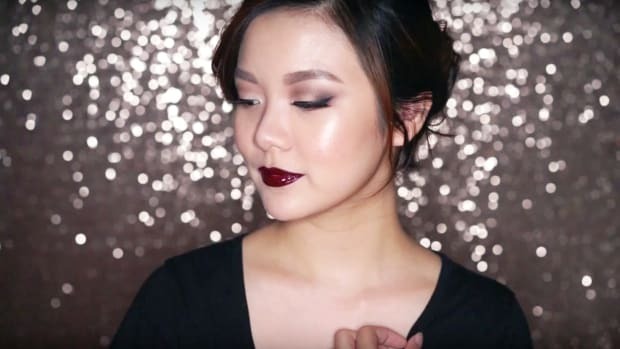 You can even try an equally festive cranberry or burgundy lip hue that suits your skin tone. 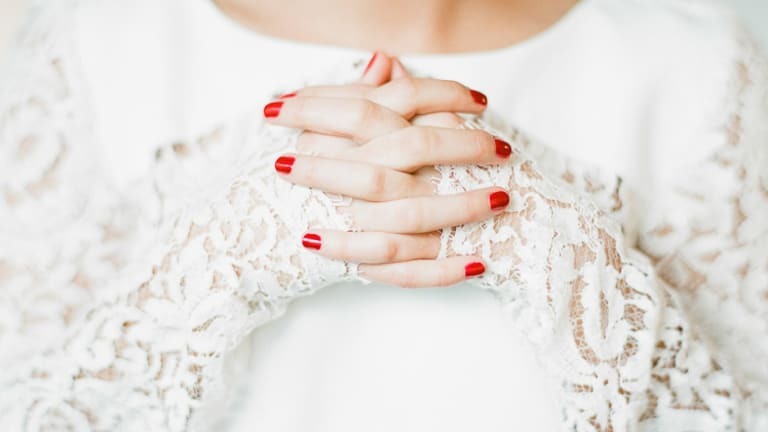 A far cry from the natural manicure that most brides opt for, bold red nails look oh-so-bright for a winter wedding. Paired with a red lip, your nails will catch the eye of every guest and add a punch of color to close-up photos of you holding your bouquet or flashing your new wedding band. 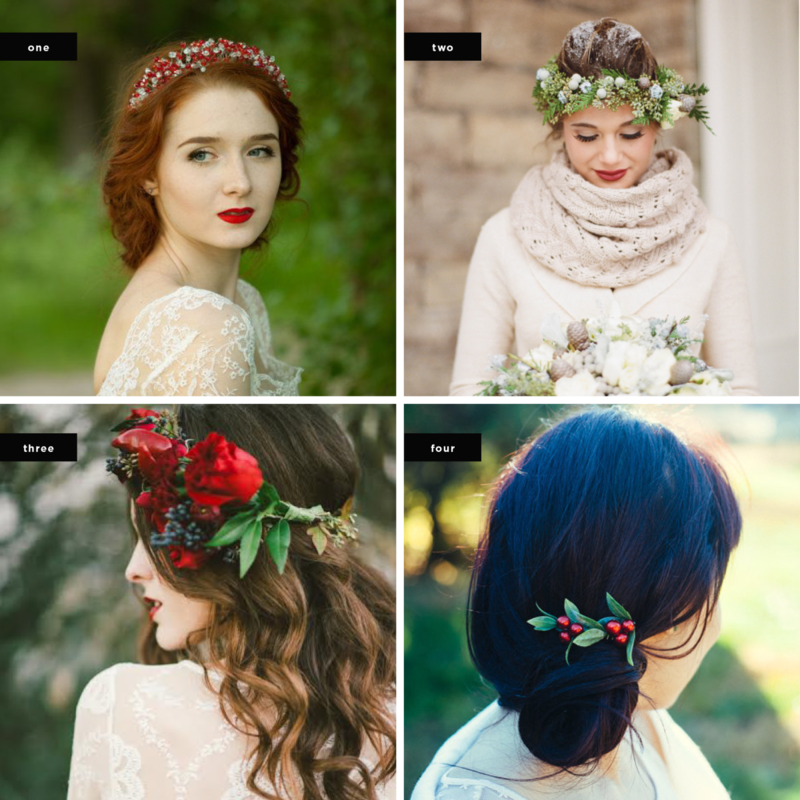 Taking a cue from the summer bohemian floral crown trend, a seasonal hairpiece with touches of holly, berries, green sprigs, and deep red roses creates an otherworldly beauty. Not so much a fan of wearing a wreath? 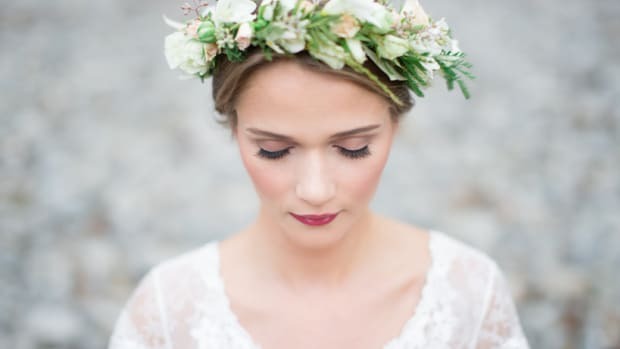 Pretty hair combs or sprigs of greenery and berries in your hair will have the same ethereal bridal effect. Etsy carries a few of our faves.